Big Pharma companies are looking to acquire promising Cell and Gene Therapy biotech companies to boost their internal pipelines. Small companies targeting monogenic rare disorders receiving ‘Orphan Drug Designation’ to indicate early success are being snatched up, yet at overvalued prices. As additional Big Pharma look to enter the field, the possibility of a healthcare bubble could be on the horizon, as small companies are bought out for too much, too early. Novartis’ recent acquisition of AveXis makes for an interesting case study here. The orphan drug landscape is quickly maturing and expected to reach $191 billion by 2019 as an increasing amount of orphan drugs are being approved. These diseases, such as hemophilia and severe combined immunodeficiency (SCID), are monogenic disorders which contain a single gene mutation and are easier to treat than more complex diseases such as diabetes and heart failure. 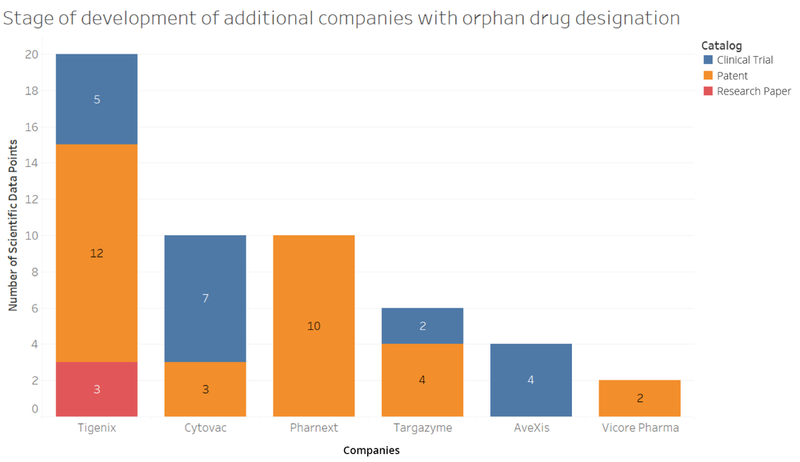 Large pharmaceutical companies are beginning to acquire drugs treating orphan diseases, as they show early clinical trial success with potential for large earnings. AveXis recently demonstrated highly successful results for their drug, AVXS-101, for treating infants with Spinal Muscular Atrophy (SMA). Fifteen infants were injected with the drug, and all responded with improvements in motor control, strength and independence – something unheard of regarding SMA. 1. What is the motive behind the deal? Novartis is looking to strengthen and augment their in-house core R&D portfolio surrounding ophthalmology and neuroscience. The hope is that incorporating AveXis’ neuroscience manufacturing and technical capabilities (as well as Spark Therapeutics Luxturna for treating blindness from a previous transaction) will enable Novartis to ultimately advance their own pipeline. It’s important to note that while there are existing treatments for what Spinal Muscular Atrophy, Novartis believes that theirs outweighs the other agents in development. 2. How will it affect the ecosystem? Novartis could challenge Biogen’s, Roche’s and Cytokinetics’ therapies which are treating SMA but with less efficiency. Ultimately, additional large pharma companies will be seeking to acquire promising smaller companies to boost their own pipelines in an effort to replace aging blockbusters that are losing patent protection. Cheaper ‘bio-similars’ are mobilizing larger pharma companies towards investing in smaller biotech companies which have the potential to boost their pipeline and generate large revenues to offset declining sales. 3. What does it mean for the gene therapy space? AveXis is targeting rare diseases such as Rett Syndrome, inherited ALS and SMA. It’s possible that additional big pharma companies will begin to incorporate gene therapies targeting other rare and ‘orphan’ diseases which focus on smaller populations but can cure deadly diseases. Competitors, too, are playing on the tactic of acquiring promising drugsto boost their own sales growth in the near future. Sanofi bought out Bioverativ, Celgene bought out Juno Therapeutics and Takeda is considering buying out Shire. Large pharma and biotech companies are searching for smaller start-ups with promising pipelines to build their own capabilities. 4. What are possible ramifications of the large number of M&A’s expected? Experts warn of a ‘bubble’ occurring as companies are overvalued in the race for promising acquisitions. As President Trump’s tax reforms have allowed the pharma companies to access large amounts of money that were trapped overseas, the value of the targets is beginning to increase steadily. Signals Playbook™ is a cloud-based data platform that transforms diverse, unstructured and unconnected big data into smart data lakes, then extracts actionable insights that optimize therapy and brand performance, accelerate new product success and propel breakthrough innovation. Leading companies have partnered with Signals Analytics to drive superior business outcomes.